Most employees look forward to company trips. Taking some time off work for a getaway with your colleagues can be a great way to build bonds, camaraderie, and general trust within the team. Many companies choose to head overseas to more expensive locations such as Bali, Taiwan, and Hong Kong, all in the name of rewarding their employees. After all, every employer wants to reward their employees for a year of hard work with an exotic getaway. However, there’s that slight challenge of making sure a certain balance is struck between rewarding your employees for their work and finding an option that works for everyone. Located in Teluk Bahang, ESCAPE Penang is a theme park that has “adventure” plastered all over it. 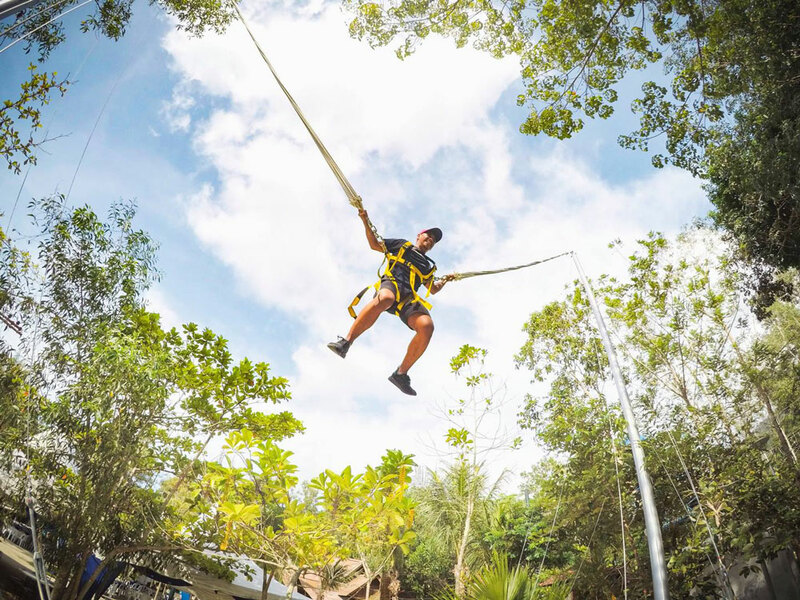 However, they aim to do things a little differently at ESCAPE—focusing on nature as opposed to regular theme parks, activities include obstacle courses, zip lines, and bungee jumps. To cater to more corporate clients, the theme park’s organisers also provide a team building programme, known simply as Teamplay. So instead of heading to more conventional attractions around the country/continent/globe, an activity like this could be the fun that your employees need. Eager for a temple run? 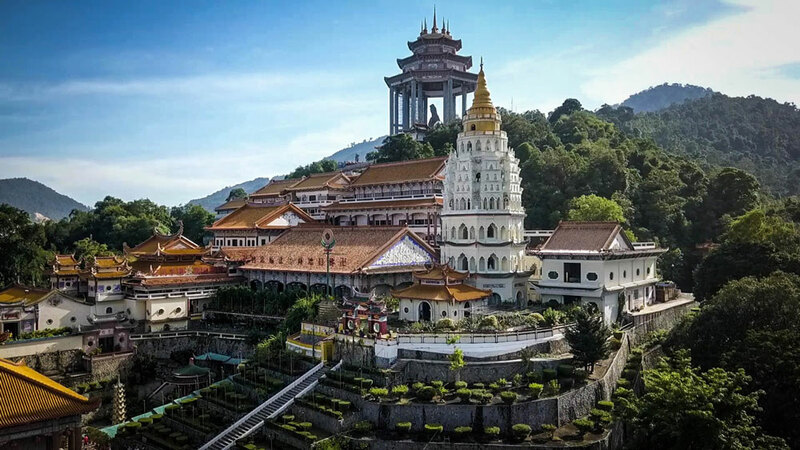 Kek Lok Si, perched atop a hilltop in the Air Itam area, is a temple that is known for more than religious reasons. A quick walk up to the top (recommended) is filled with stores selling trinkets and souvenirs, with a pond filled with tortoises a particular highlight of the walk. If you stop to feed the tortoises, head over to some of the stalls nearby to buy some kangkung—it’s quite a sight to see them spring into life. Once you’ve reached the end of your (uphill) walk, you’ll have the option of paying a nominal fee to ride the rest of the way up to the top of the temple on a chair-lift, where you’ll have a magnificent view of the surrounding areas, as well as an upfront encounter with the bronze statue deity. You can’t go to Penang without trying the food, that’s a fact. It’s generally accepted that one of the most unifying things with Malaysians is food, and Penang food is one of the best. The selection of street food in Penang is arguably unrivalled in Malaysia, with a whole selection of local food available. 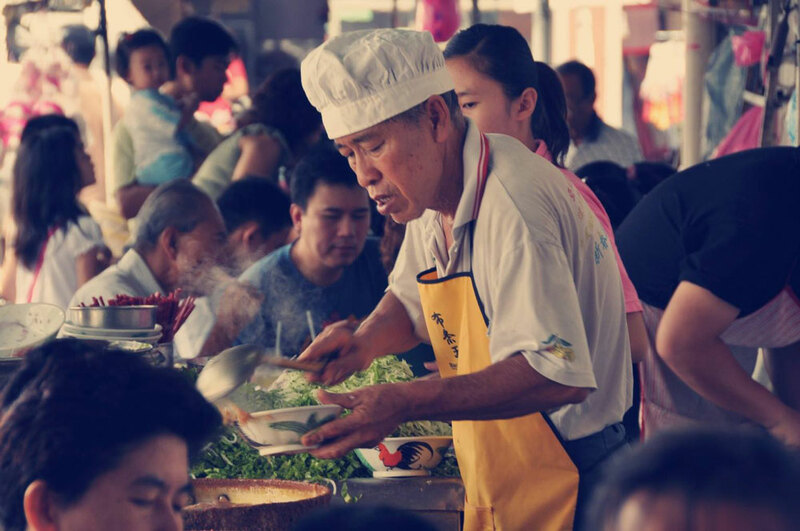 Famous examples include the Asam Laksa in at the Air Itam market (it’s almost always full, but opening hours include the afternoon), Lorong Selamat Char Kuey Teow, and countless others. A quick google search brings up a myriad of other choices, so this means that instead of boring, generic, catered food, you’ll get to have a food adventure on your next company trip. Perhaps consider organising a food trail to make sure you hit all the must-haves? 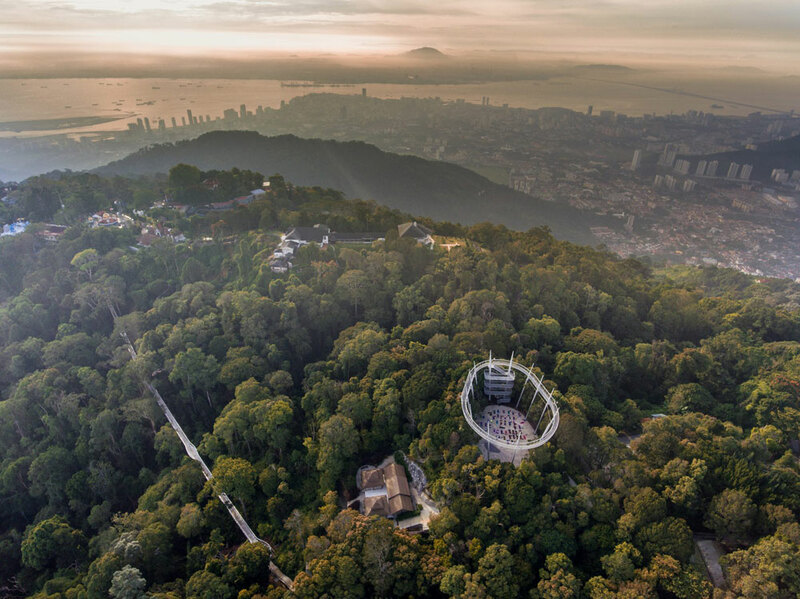 Once you’ve digested all of that food, The Habitat offers a whole new way to experience Penang Hill—with nature at the forefront. The aim here is to provide an authentic educational experience about the Malaysian rainforest, with activities including a guided nature walk, as well as the Langur Way Canopy Walk that gives you unobstructed views of the rainforest. 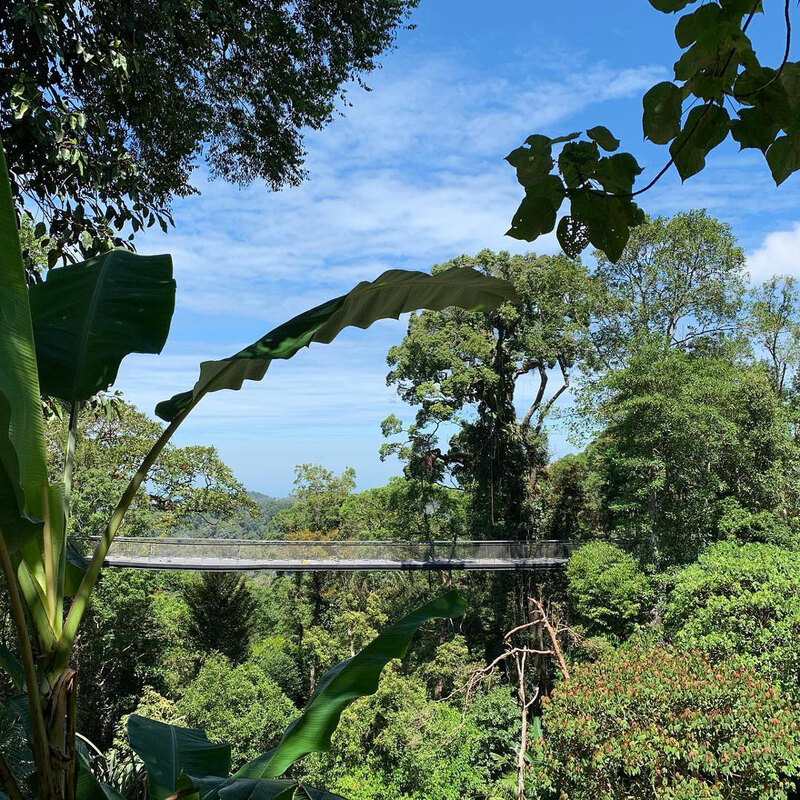 Set in the 130 million year old Malaysian rainforest, activities include the Curtis Crest Tree Top Walk (At the top, you’ll have a 360-degree panoramic view of the island), as well as themed gardens such as the Fern Garden. With corporate clients in mind, they have team building activities available on their site, with certain venues in the park available for rent. So if you’re keen on a nature-centric way to build team values and bond your group, The Habitat promises to be a fun and educational way to spend the day with your team. Well, for a few nights at least. Trips are either made or broken by your choice of accommodation. This is especially true for company trips—imagine having your annual town hall meetings in a location with inadequate space, facilities, or a location that just looks/feels bad. 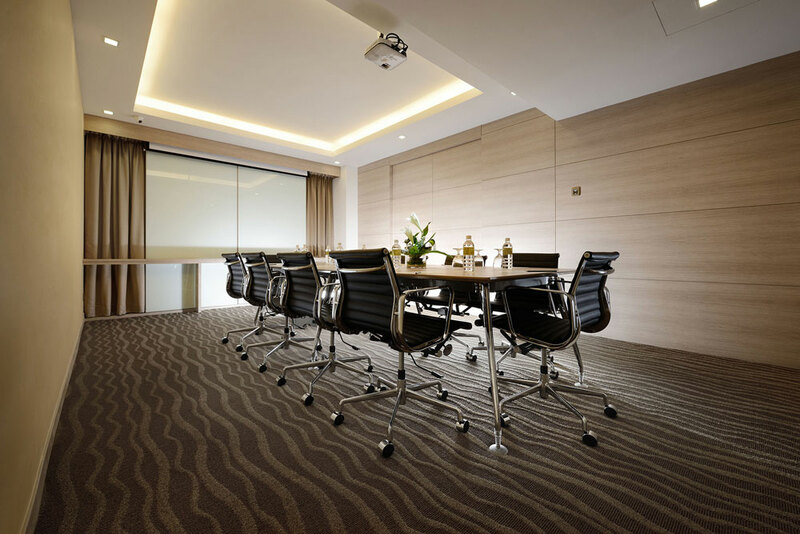 Hotels such as Sunway Hotel Georgetown are built to accommodate a different variety of guests, with facilities including meeting rooms of various sizes (complete with LCD projectors for presentations), along with WiFi and beverages. In addition to that, the Sun Cafe located in the hotel is an additional plus. With an informal setting, guests have the option to dine there at anytime throughout the day. 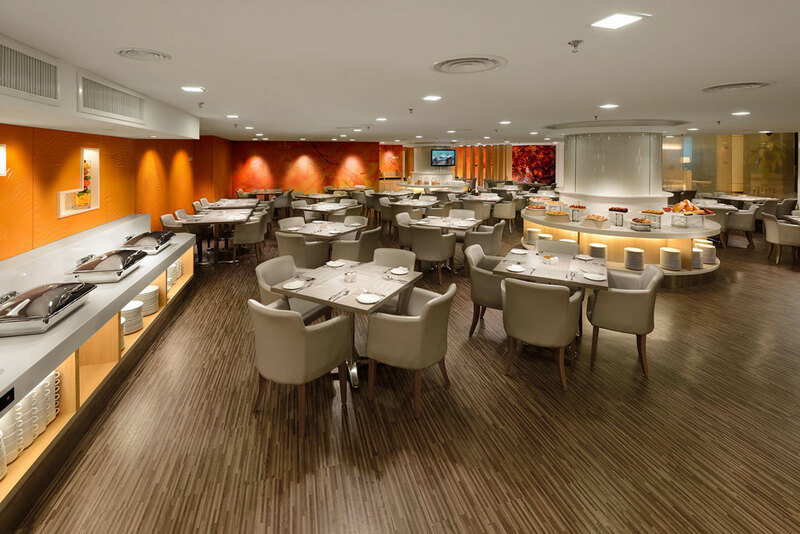 Food options include buffet and ala carte, while there is a spread of cuisines to choose from. Located just off Macalister Road in Georgetown, the hotel is located centrally, with the Penang State Museum just a stone’s throw away. Company trips can be a good indicator of how strong your team works together, while also a time to kick back and get to know each other on a more personal level. But with the vast number of attractions and activities available in Malaysia, there isn’t really a need to head overseas. 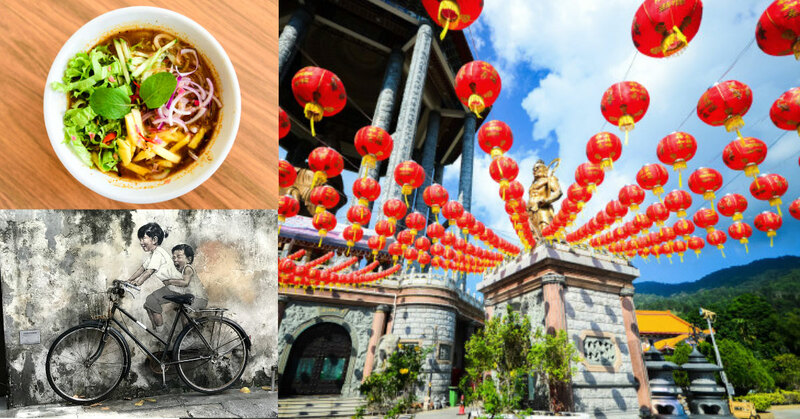 Instead, local locations such as Penang might just tick the boxes if you’re looking for a budget-friendly solution with variety. And if you head to The Pearl Of The Orient, Sunway Hotel Georgetown might just be the best option for your team to stay at. 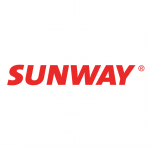 This article is written in collaboration with Sunway Hotel Georgetown.